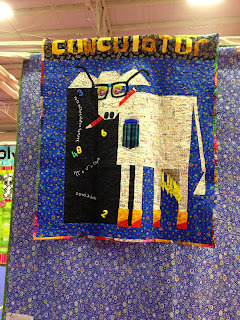 Sunday I attended the Sinnissippi (say that fast 3 times) Quilt Show "The Art of Collaboration" in Rockford IL. One of the special displays was Cows on Parade Traveling Exhibit. 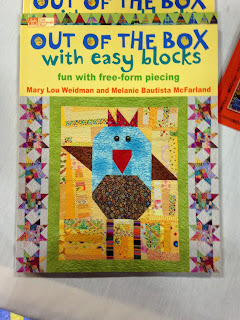 It all started with this book by Mary Lou Weldman and Melanie B McFarland..... Out of the Box With Easy Blocks.... and includes instructions for what Mary Lou calls "Hoochy Mama" Piecing to make the Cows, plus cats, chickens, a princes, and other fun things. 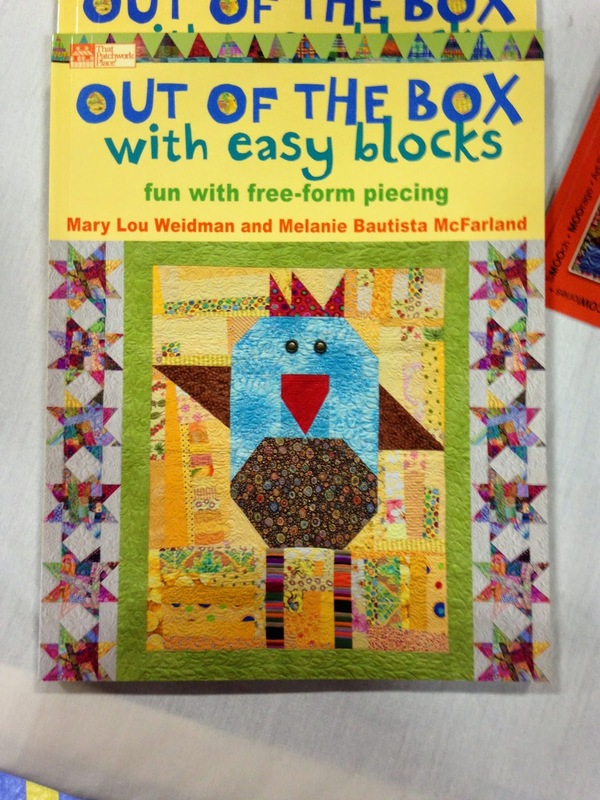 You can get the book here. 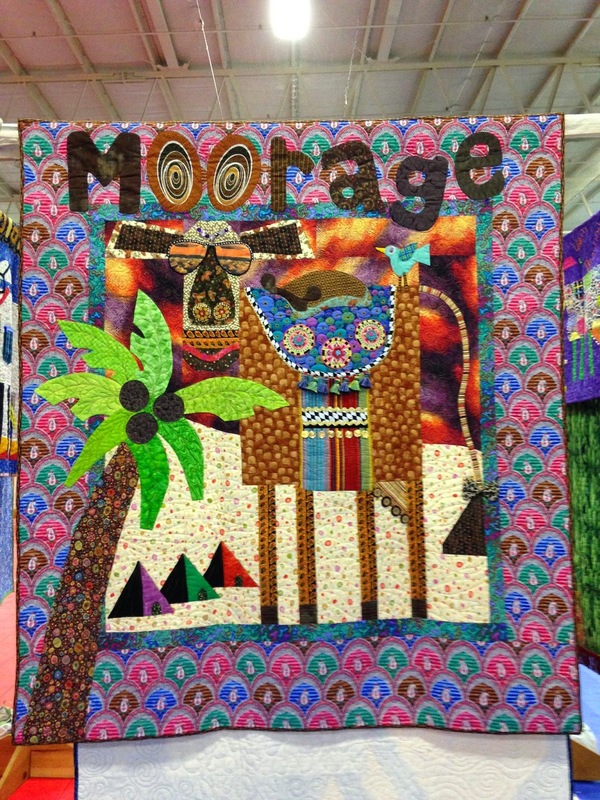 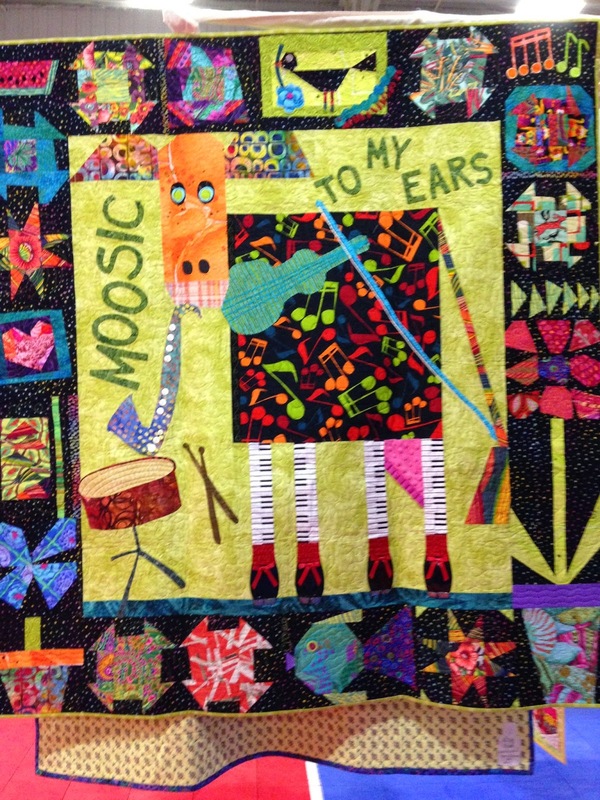 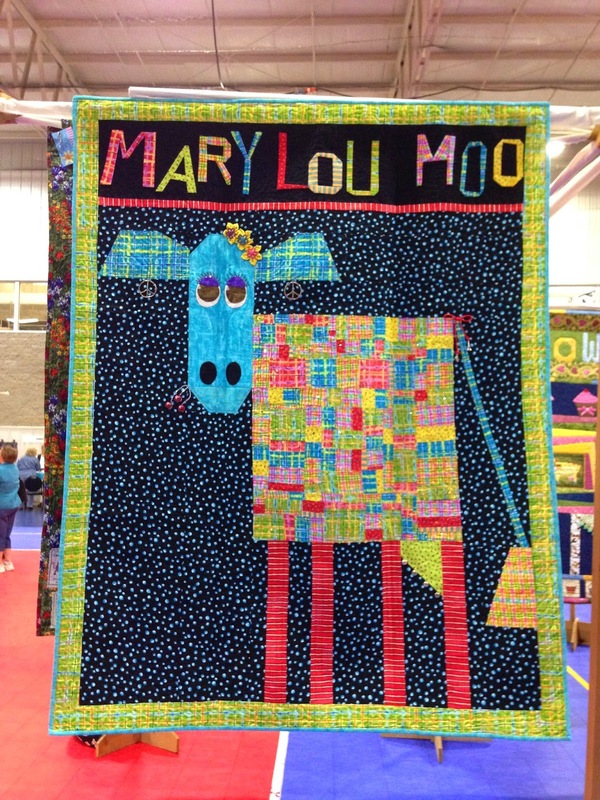 And here are some of Mary Lou's students quilts. 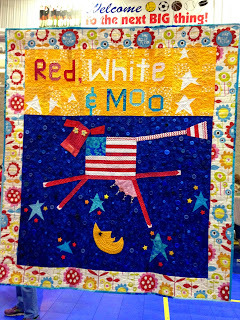 Of course you know the one that caught my eye from the get go.... Red White and Moo! 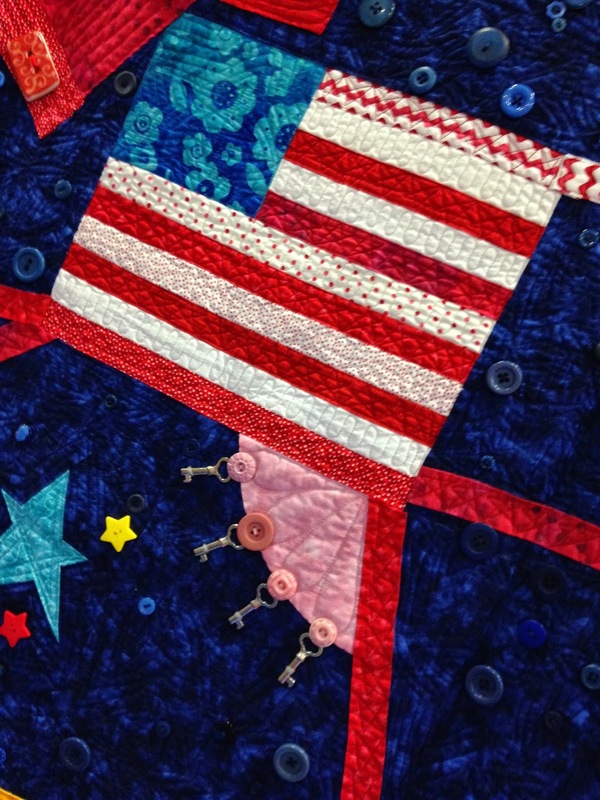 The embellishments on these quilts are so FUN! 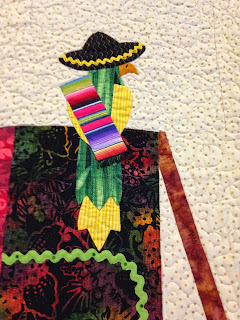 I love the label on the back of this quilt and the fringe across the bottom! 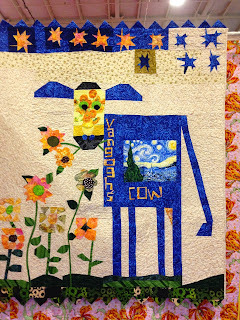 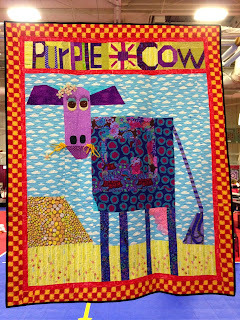 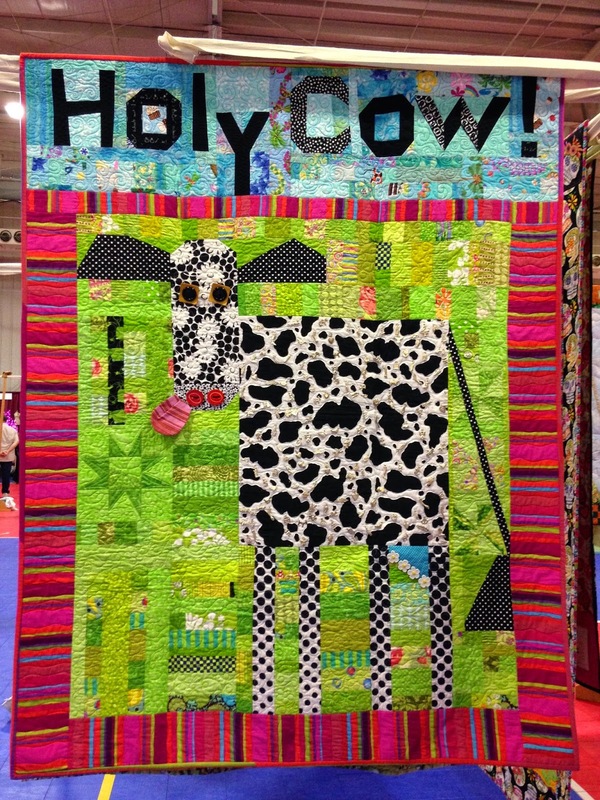 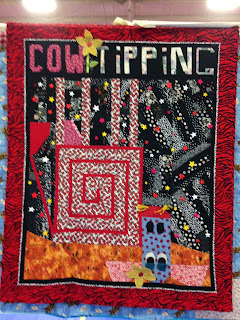 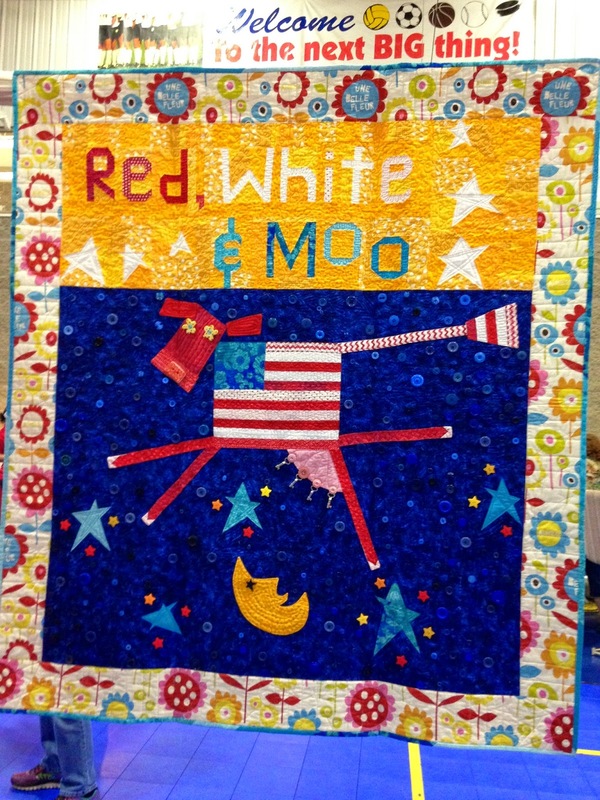 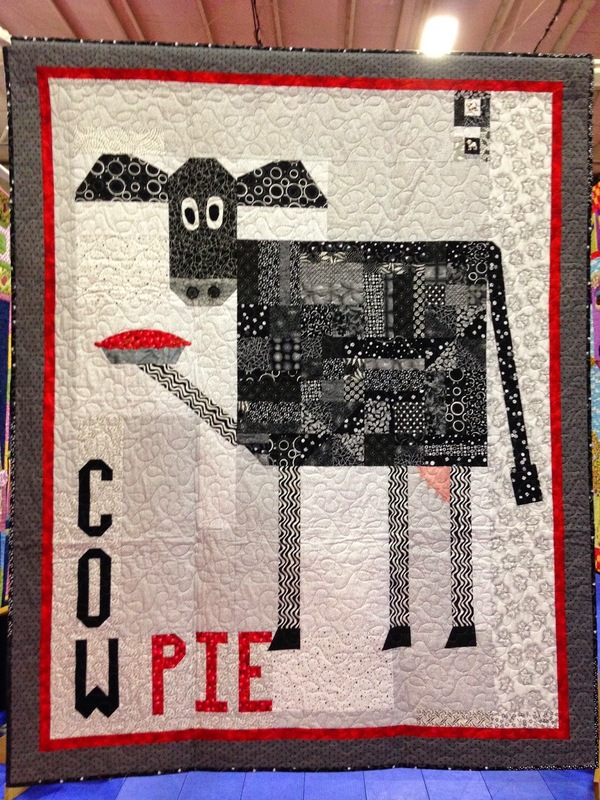 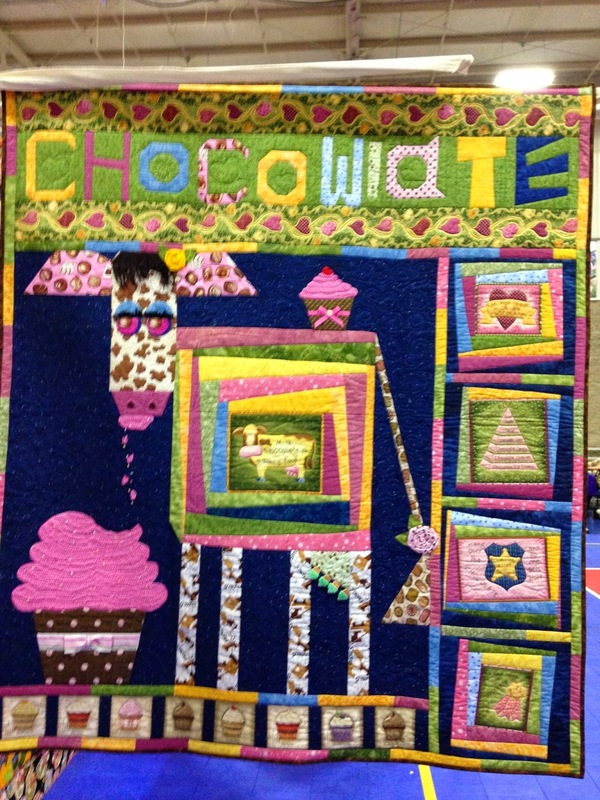 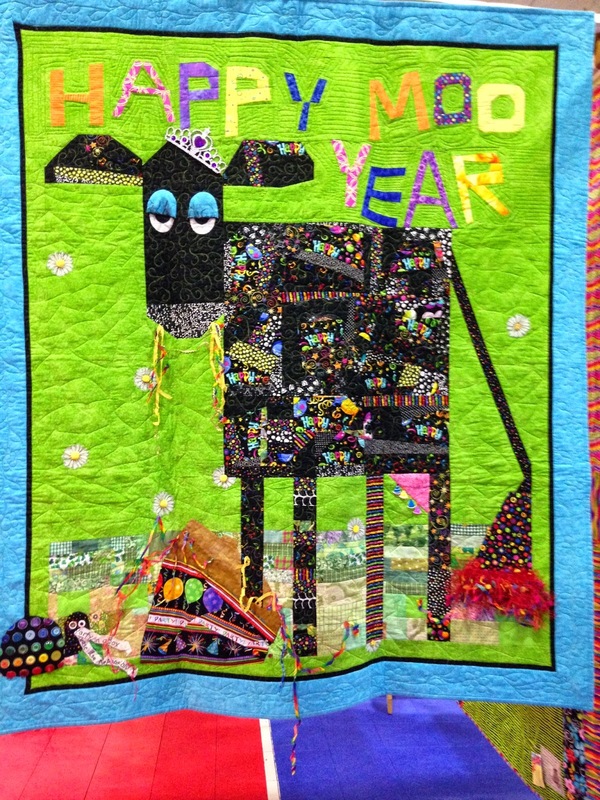 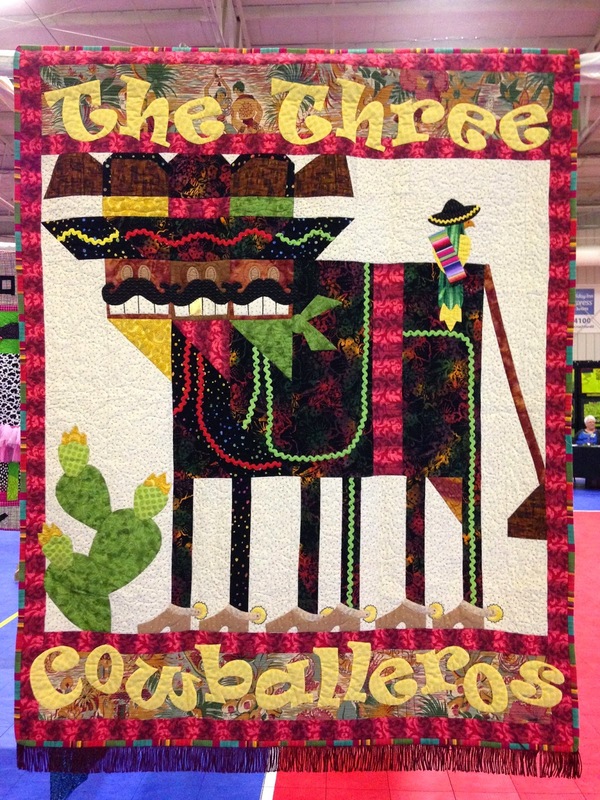 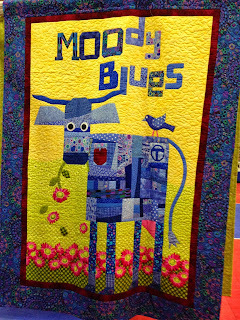 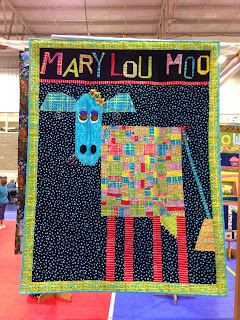 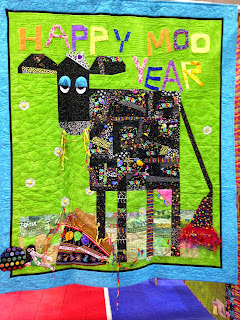 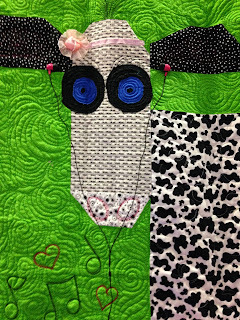 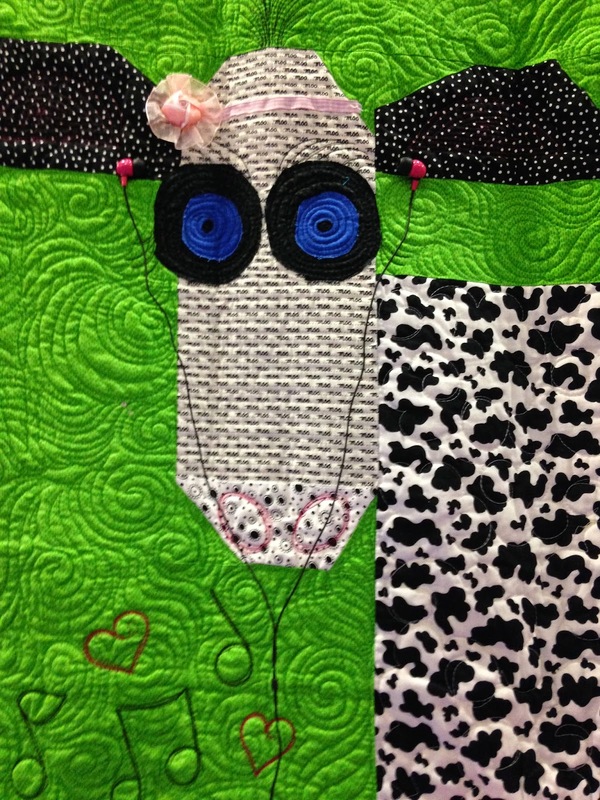 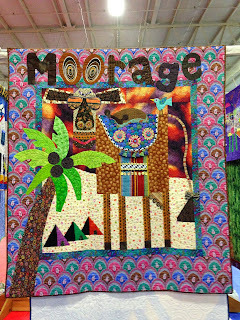 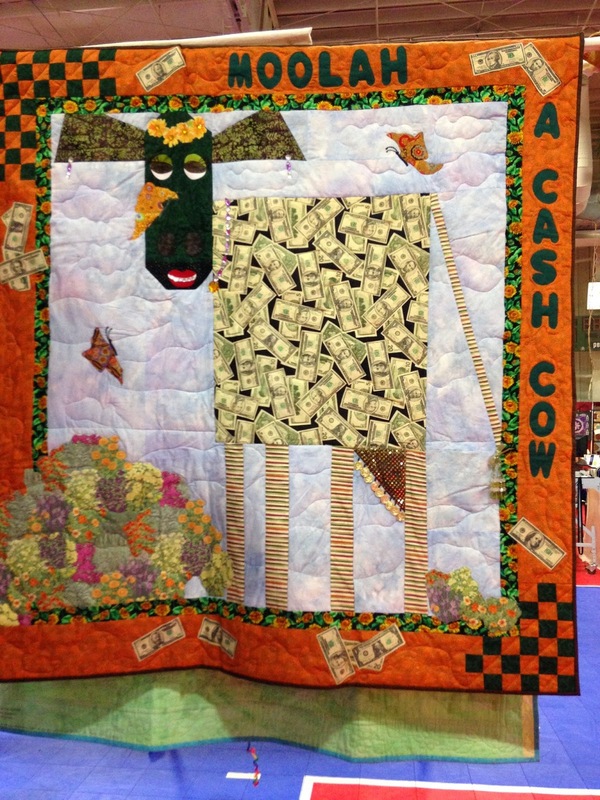 I hope you enjoyed the Cows on Parade Virtual Quilt Show as much as I did in person. 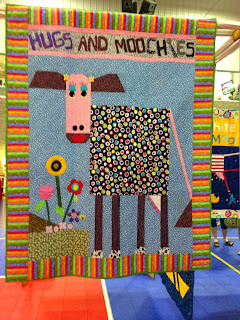 It was so MOOch fun. I looked at these quilts for a long time and every time I came back around I saw something different on each one. 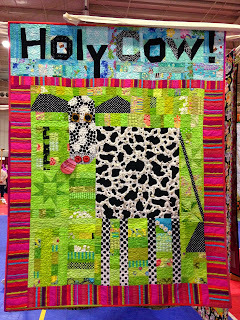 They were a hoot! 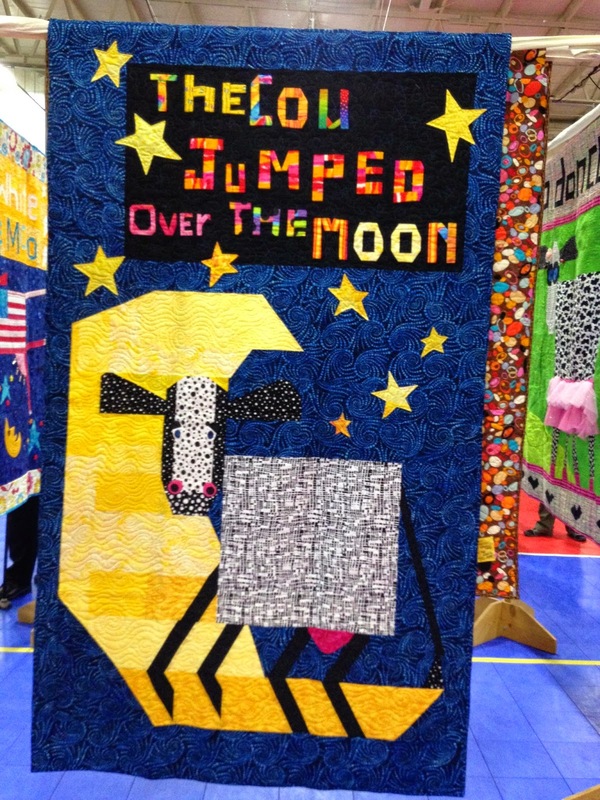 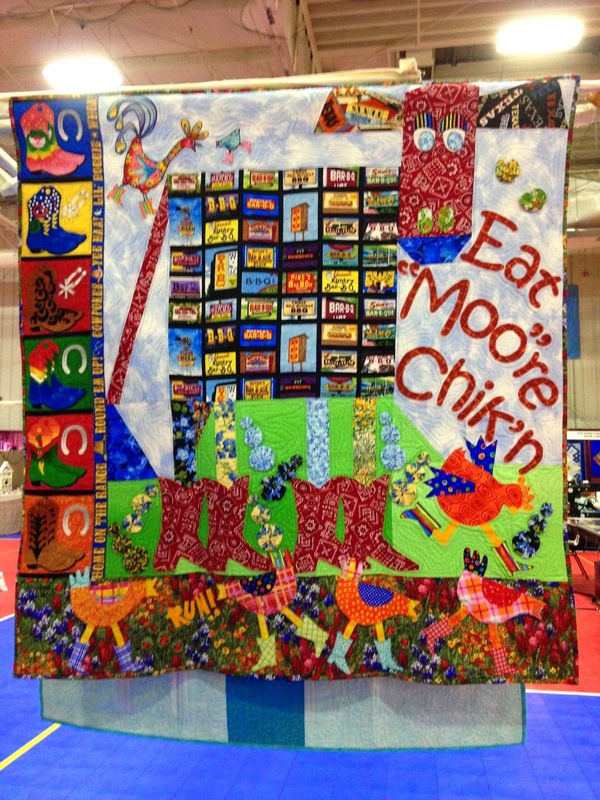 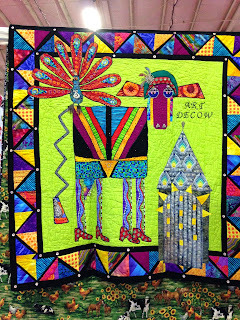 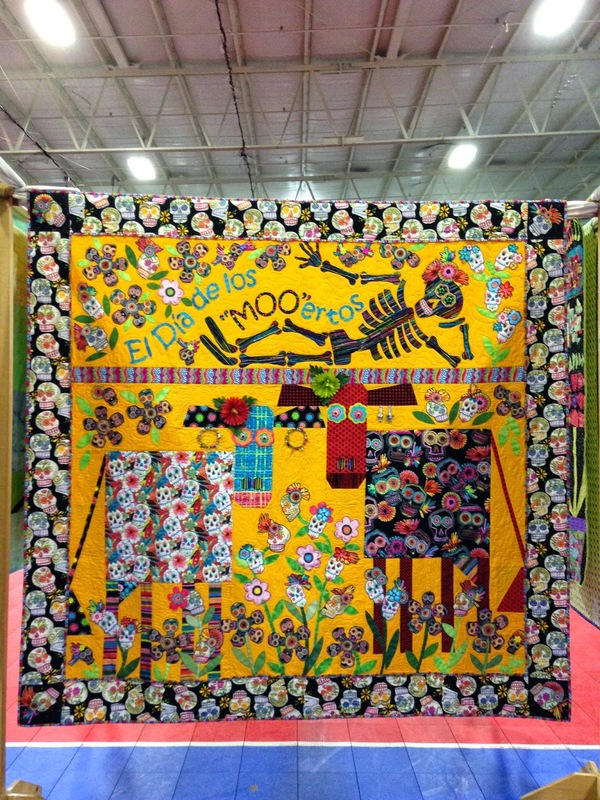 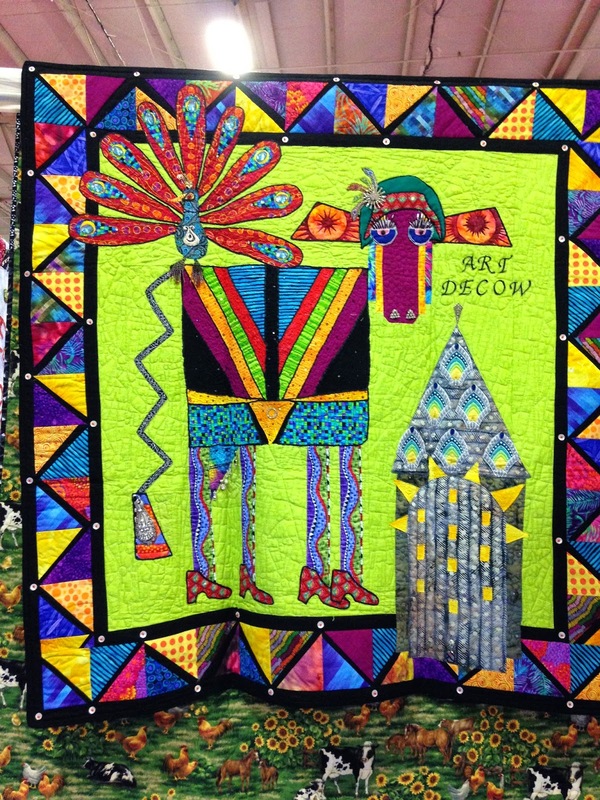 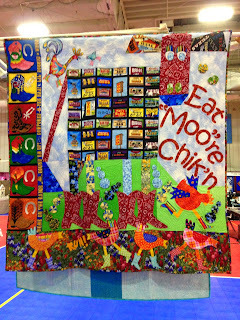 Wednesday I'll share some of the quilts from the quilt show. 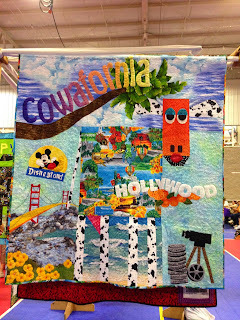 How much fun is that?!? 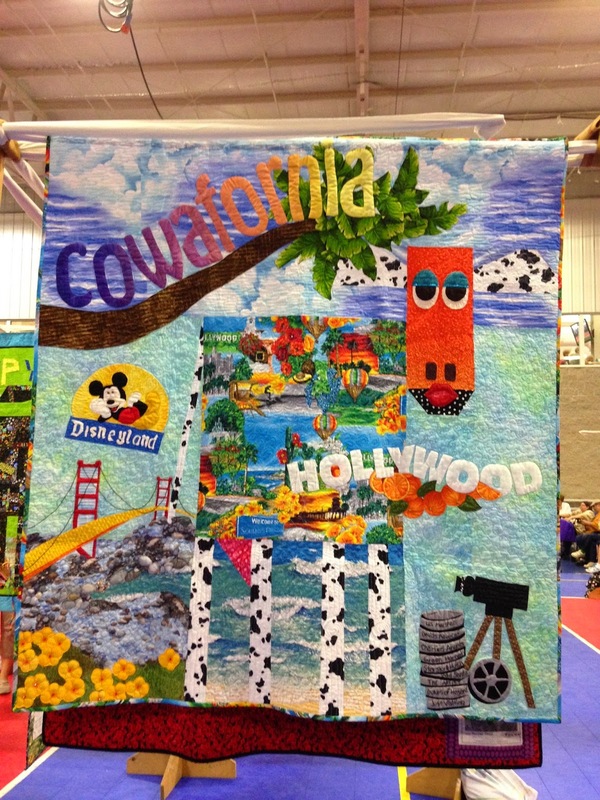 These are always so creative and fun. 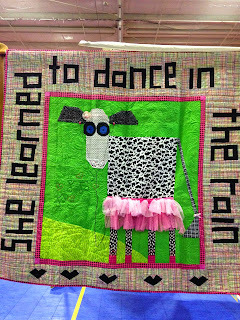 Oh I am glad you were able to go to the show. I wanted to go so badly, but wasn't able to as I was and still am dealing with tremendous pain from a broken tooth. I was so excited a few weeks ago to learn that a 2nd traveling exhibit was going to be there as well as all the cows and was looking forward to going. 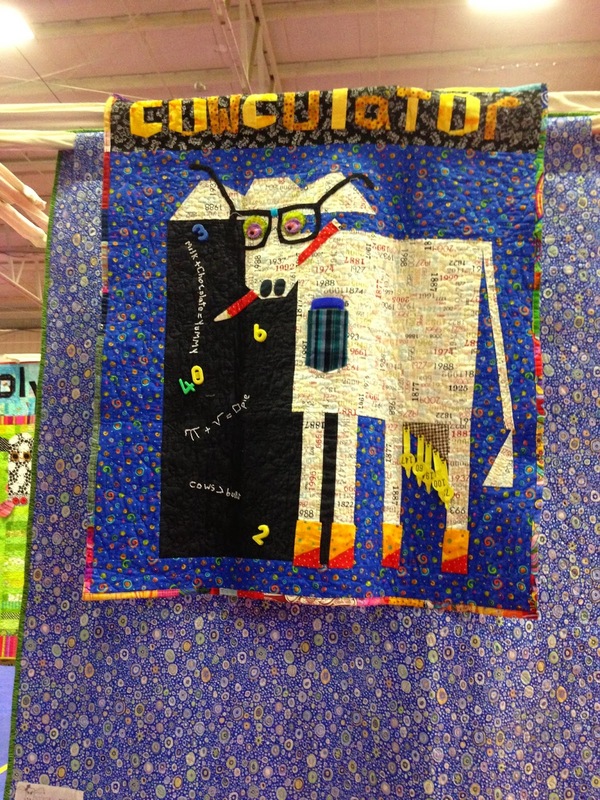 Sadly, pain always wins. 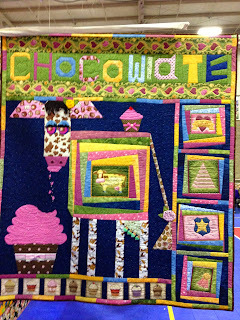 I can't wait to see more when you post more pics. 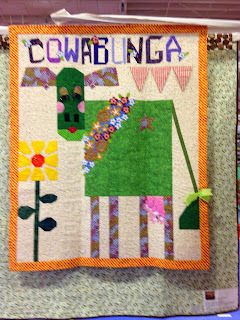 What do May Flowers Bring ?